Physiotherapy is a discipline requiring specific study in both medical and exercise based treatment. Physiotherapists assist people in restoring mobility, function, and alleviating pain, where these are present from an injury, misuse, or chronic illness. Sports rehabilitation is a specialized treatment for physical rehabilitation caused by sports injuries, or to enhance recovery and resumption of sporting activities following illness or injury. A specially trained physiotherapist or chiropractor, a sports medicine practitioner, or someone who is educated specifically in sports therapy may provide services in sports rehabilitation. What are the Differences Between Sports Rehabilitation and Physiotherapy? While physiotherapy is suitable for all patients, aiming to restore function in everyday life, sports therapy is specifically catering for those who require peak physical performance for regular physical activity. A physiotherapist has a broad medical background, including the study of a wide range of physical conditions or chronic diseases that affect mobility. A sports therapist has a better knowledge of specific exercise programs that repair and strengthen the musculoskeletal system for resuming intense physical activity. They are also trained in specific demands of high-intensity physical activity, and common injuries that result from regular high-performance physical training. Where physical therapy caters for rehabilitation, alleviating pain, and return to everyday life, sports therapy aims to help those with special physical demands regain full health and resume activities requiring high-level performance. Physiotherapy is treatment by physical rather than chemical methods. That is, it’s a drug-free treatment. It includes physical movement, exercise, massage, heat therapy, and electrotherapy. Physiotherapists may also practice dry needling (a medicinal application of acupuncture). Physiotherapists often work with referrals from orthopedic surgeons and doctors, but in most countries, including the US, they are available as a service direct to patients. Hospitals often work with physiotherapists for rehabilitation of patients from strokes, recovery of muscles after surgery, car accidents, and many other chronic diseases. Physiotherapy is a medical service, and as such practitioners have a broad range of medical knowledge related to the services they offer. Sports rehabilitation is a specialized therapy and applied exercise regime, which addresses recovery from specific sports-related injuries. Sports therapy may also apply to rehabilitation from a non-sports related injury for the purpose of resuming sport participation. Sports rehabilitation may be provided by a physiotherapist or chiropractor who has undertaken specific training in sports treatment, or by a person specially trained in sports therapy. A sports therapist, who is qualified to provide specific sports rehabilitation, has studied physical therapy and exercise treatment that is specifically applicable to athletes and sports professionals. Patients seeking sports therapy usually place much higher demands on their bodies, which may have caused the injury. They also expect much higher performance, so return to health needs to be monitored and driven by carefully designed strategies. Sports therapists and sports rehabilitation experts are trained in diagnosing injuries caused by high-performance applications in sport and know how to treat these injuries effectively. The aim of sports therapy is to return full mobility as quickly as possible. Sports therapists study specific sports related exercise programs, which aim to enhance physical performance. 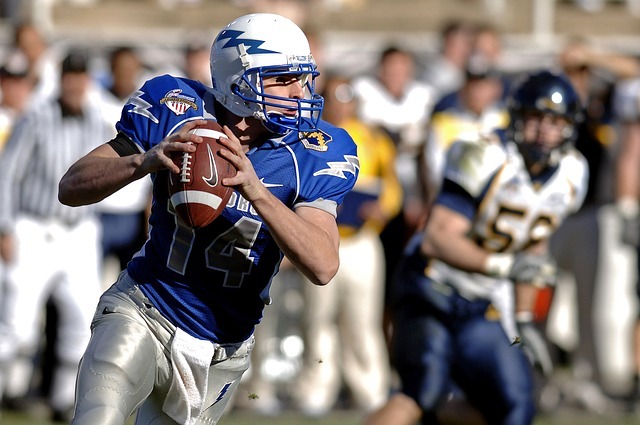 Sports teams or sports professionals may employ a sports rehabilitation specialist on a regular basis. The first known use of physical therapy was around 500BC with Greek physicians Hippocrates and Galen who advocated massage and manual therapy. The formal treatment by physical rehabilitation entered traditional western medicine in the 1800s with advancement in orthopedics. Sweden was the first country to recognize physiotherapy as a profession, providing official registration by the health board in 1887. Physiotherapy began being offered as a professional discipline by universities and colleges internationally in the early 1900s. The applications of physiotherapy soon spread with the treatment of injured soldiers in the First World War, and for assisting children affected by the polio outbreak in 1916. In the 1950s physiotherapy services began to diversify into private practice and niche services, and in the 1970s specialization such as sports therapy was offered in the US. Sports therapy initially developed with massage, dating back as far as the Roman gladiators. Sports medicine and rehabilitation began to accelerate as a specific discipline with the growth of modern professional sports. Recognition of the need for athletes to have specialized physical care to reduce downtime due to injury and increase peak performance led to the growth of specific sports therapy and rehabilitation services and qualifications. Where athletes and sports professionals may have once seen regular physicians, now there is a specific field of doctors, physiotherapists, chiropractors, and specially qualified sports rehabilitation experts to help with recovery and return to peak performance. A sports therapist is a specific qualification, usually structured as a science degree, dealing directly with sports-related injuries, and as such is very specialized. Sports therapists are generally not registered or licensed although they may belong to associations or sports organizations. A sports rehabilitation expert may work with sports groups and professional bodies, professional athletes or sports teams. Physiotherapy practitioners are licensed medical service providers, who have expertise in the recognized treatment of common illnesses and disabilities. A physiotherapist completes a specific qualification, usually a science degree, in the practice of physical therapy. Typically, after qualification and internship, physiotherapists need to pass a national licensing examination to become a licensed physiotherapist. Many parts of the sports therapist and physiotherapy syllabus overlap, which is why it’s easy for a physiotherapist to train as a sports therapist and vice versa. Some physiotherapy qualifications offer a direct specialization in sports therapy. Both professions are usually contained within a bachelor degree in science, and both usually require completion of a practical internship before the qualification is recognized. Anyone with mobility issues, having suffered physical trauma to the musculoskeletal or nervous system, or with persistent pain under movement needs to see a physical therapist. Simple exercises, massage, and other physical treatments can help restore mobility and relieve pain. Sports professionals, people who are very physically active in work or hobbies, or where an injury has been a result of exercise are more suited to see a sports therapist. In some cases, an injury may need consultation, first with a physiotherapist to get back to normal function, and thereafter, on completion of sports rehabilitation work to return to peak physical condition. Although you may have been referred by another medical professional, the first part of physical therapy is always assessment. This will involve a range of movement observations and questions on health history. Imaging may be needed to gain a more comprehensive analysis, such as x-rays or MRI. Following an assessment, the physiotherapist will discuss a treatment plan with the patient, and begin treatment. The progress of treatment is hard to assess as it is very individual, but a basic outline, methods, and aims will be discussed. Acute treatment is provided for chronic and severe illnesses, with the aim of immediate pain relief or restored function. Rehabilitation is designed to return full function once severe symptoms have subsided. Rehabilitation is mostly based on exercises, many of which are similar to Pilates or yoga, and are a staple program for biomechanics providers. Prevention and education are vital in the completion of a physiotherapy regime, to ensure repeat injury does not occur. Sports rehabilitation will involve the application of specific exercises aimed at building strength. There may be an assigned program of work with progressively increasing weights or tension devices. Sports treatment would normally follow on from acute physiotherapy starting, in the rehabilitation stage, however, for specific sports injuries, it may begin in the acute treatment stage. The first part of sports treatment is also assessment, in this case, there may be some performance exercises required, for example, strength testing, endurance and heart rate monitoring, or flexibility assessment. For a high-level professional athlete, a sports rehabilitation program may involve more than one professional, for example, a medical professional, such as an orthopedic surgeon may be involved in the rehabilitation plan, along with physiotherapists, sports psychologists, sports massage therapists, sports coaches, and nutritionists. The stages of sports rehabilitation treatment are often low impact exercises such as walking or stretching, followed by kinetic chain exercises and higher impact exercises such as running, the next physical stage focuses on sports specific exercises. Finally, prevention strategies are reviewed. Sports rehabilitation specialists may continue to work with athletes and sports clubs to educate and promote prevention of injury and to help sports persons maintain peak performance. Sports specialists may provide treatment for recovery after permanent physical injury. Resuming sporting activities, for example, after permanent loss of use of a limb, or sense. This may mean a new career for a sportsperson, for example, a change from mainstream sports to disabled sports. The changes associated will require important psychological counseling and very specialized physical training. There are a surprising number of disorders that respond well to physiotherapy, for example, cardiovascular, pulmonary disorders, urinary and bowel control, and neurological disorders. More common ailments like reduced mobility following an accident or stroke are regularly treated. Fractures which have been demobilized for a considerable time, or where bones have rejoined is slightly different constraints, respond well to physiotherapy. Lower back pain disorders, which in the past have been considered treatable only by surgery, have great success in physiotherapy. Sciatica, herniated discs, and pinched nerves are all good candidates for physical manipulation. Often physical therapy is assisted by some chiropractic manipulation to free the spine, before backing up the joint manipulation with low impact strength and core building exercise regimes. Physical therapy will include a variety of techniques that are based on physiology to return muscles, nerves, bones, and joints to their fully functional everyday use. Sports rehabilitation would normally be more applicable to direct musculoskeletal injuries, particularly those resulting from sports activity. Typical applications may include issues such as ligament damage, pulled hamstrings, pinched shoulder, shin splints, tendinitis, and tennis elbow. If an athlete suffers severe injury, they may need to first see a physiotherapist before beginning sports rehabilitation. Techniques used in sports rehabilitation are designed for the effective resumption of sporting activities and return to peak condition. Techniques may also include physical and psychological recovery and compensation after a permanent loss of mobility. Physiotherapy is a baseline for any physical mobility issue or pain. Our musculoskeletal system has so many control functions physiotherapy can be at the frontline of the treatment of many common illnesses. Physiotherapy may be needed as the first line of defense for a sportsperson who is injured before resuming sports specific treatment. Sports therapy and rehabilitation is a specific service for athletes or persons involved in high levels of physical activity. Sports therapy may be approached by a multitude of channels and may suit former athletes as a career change, but is also an excellent specialization for physiotherapists and chiropractors, who aim to provide a whole health approach to physical well being, and who may have specific interests and knowledge in sports medicine or performance. Regardless of your situation the specialists at Dunn Clinic will help you get the right treatment for your condition. Contact us today and get started on your path to a healthier life.